In most homes, the garage door is the door used most. So it makes perfect sense to make sure it operates as it should and looks good too! 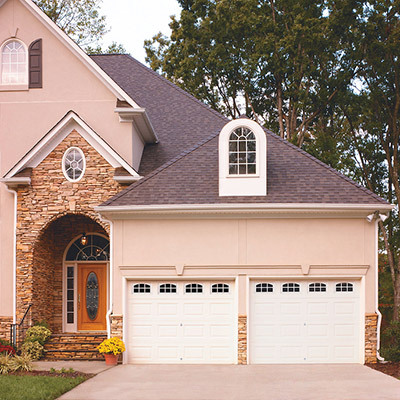 Feldco garage doors offer durable construction and come in a variety of colors. You can dress up your garage door even more and let some light into your garage with plain or decorative window inserts. 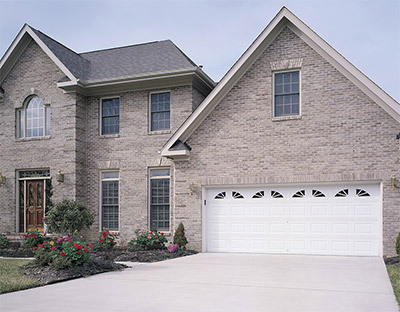 Replacing your garage door can greatly improve your home’s curb appeal and functionality of your household. As good as a new garage door is, it is only as good as its installation, and we are the Madison professionals when it comes to proper garage door installation. From properly removing your old garage door and replacing all operable elements such as the tracks, you can be rest assured your new garage door will be installed perfectly. We can work with your existing garage door opener or offer you a variety of standard or smartphone friendly openers to meet your needs. A Madison garage door can be exposed to a lot of wear and tear, in the winter especially, so choosing a company that specializes in garage door replacement for the area should be top of mind. From varying levels of insulation to wind-resistant design elements, Feldco is truly the best choice for your garage door. Not only will you get a garage door that will complement your home’s exterior, but a door that will also protect your home and garage’s contents. You don’t want your garage door to work well, but look good too! Whether you opt for standard steel garage door or the unique appearance of a carriage style garage door, you will be delighted with the transformation to your home’s exterior and make you wish you replaced your garage door years ago! Our standard garage doors have better than standard construction. They are made with heavy gauge steel designed for superior strength and energy efficiency. You can enjoy a more even-temperature in your garage and say goodbye to getting into a freezing cold car in the winter or an extremely hot car in the summer. With a variety of panel design and glass inserts available, you can customize your garage door to perfectly meet your needs. If you are looking for more of the traditional styling of wood with your garage door but with the added durability of heavy gauge steel, you should consider a Feldco Carriage Style garage door. You will have more panel styles from which to choose and coordinating hardware to complement the door. Your garage door can become a beautiful focal point of your home and the envy of all your neighbors. If your garage is attached to your home, it is important to keep your garage as insulated as possible and ensure your furnace doesn’t have to work as hard to keep your home warm. Even if your garage isn’t attached to your home, having a properly insulated garage door will protect its contents of your garage from the extreme heat and cold we experience in Madison. 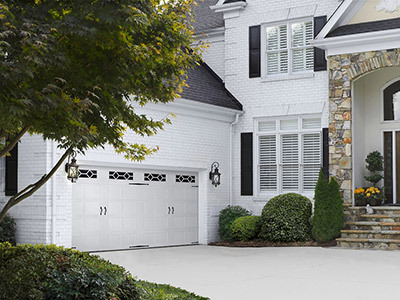 If you are looking to replace your garage door because it is no longer functioning, or if you are just updating the look of your home, a Feldco Product Specialist will assist you in choosing the best door for you and your home. From there, leave it to our professional technicians and dedicated team of installers and you will find replacing your garage door has never been easier!